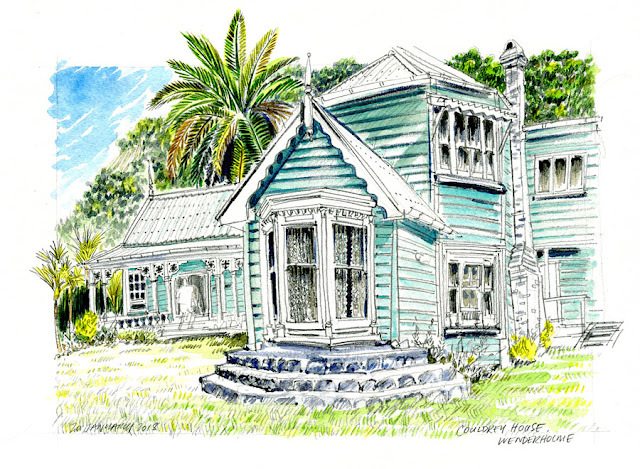 [By Murray Dewhurst in Auckland] I was recently asked to exhibit sketches in a group exhibition celebrating heritage buildings. 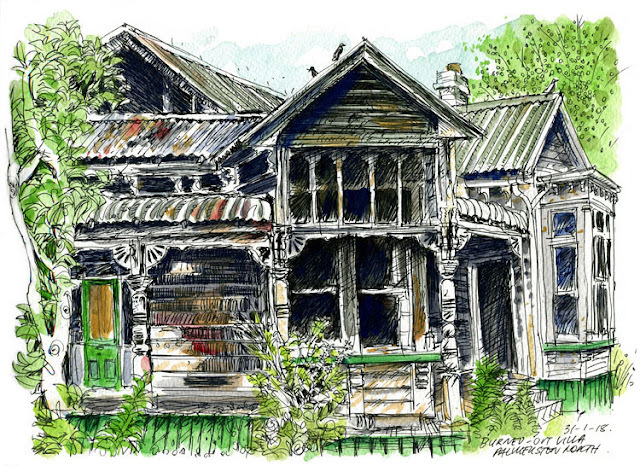 Old buildings are one of my favourite things to draw, so of course I agreed. They're mostly old wooden houses in Auckland's inner suburbs, with a few from further afield including one of a burned out villa in Palmerston North that's being treated by police as suspicious. 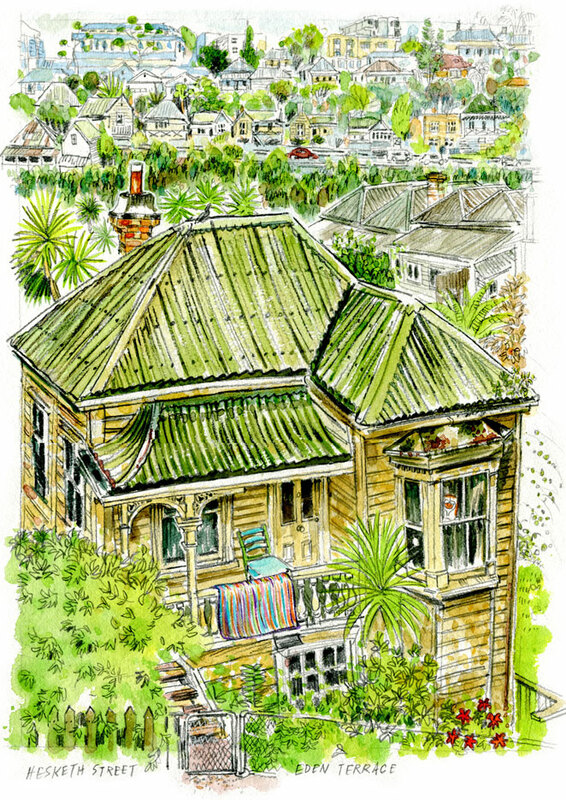 I love Auckland's inner suburbs - what's left of them anyway - the government cleared thousands of cottages and villas in the inner city suburbs of Eden Terrace, Newton and Arch Hill as they were deemed to be an unsanitary slum and home to the city's population of crooks. I can picture that too, the houses were small, they were wooden, tightly packed on narrow streets designed for horses and carts and most wouldn't have had very sanitary toilet facilities! Removals started in the 30's through to the 60's when a motorway was cut through the middle. Exhibiting next to three established artists was a little intimidating though and that had an interesting impact on my sketches as I took a bit more time over them, they're less rushed, and a couple took me several visits to complete. 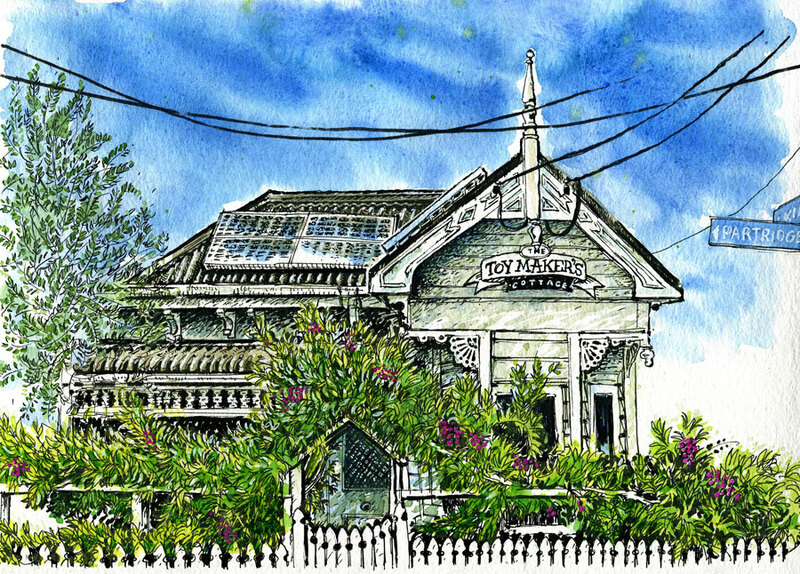 The exhibition Past to Present is on until after Easter if you happen to be in Auckland.